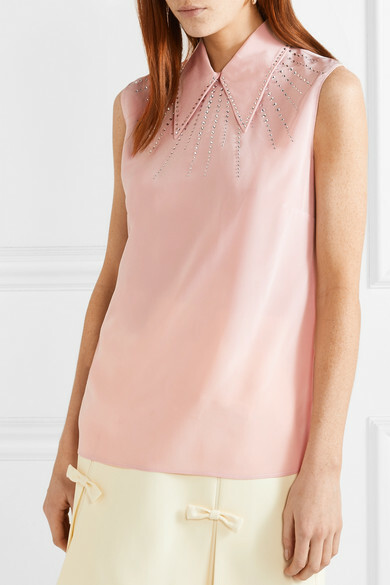 Miu Miu's baby-pink top is adorned with crystals in a pretty starburst pattern at the signature pointed collar. 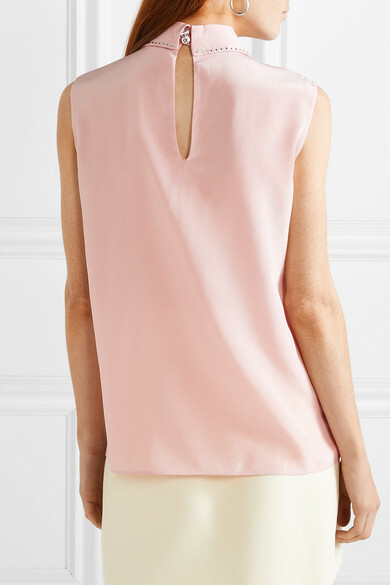 It's been made in Italy from lightweight crepe de chine in a loose, boxy shape. 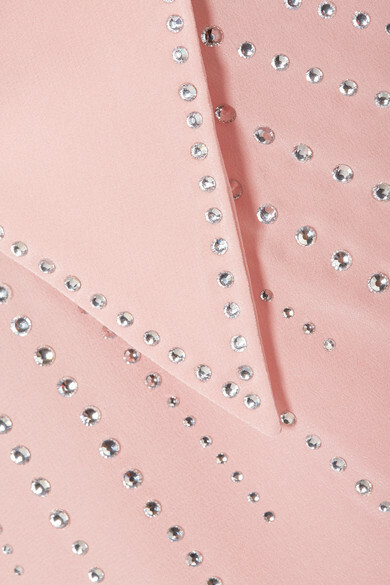 Wear yours with jeans or tuck it into one of the label's mini skirts. 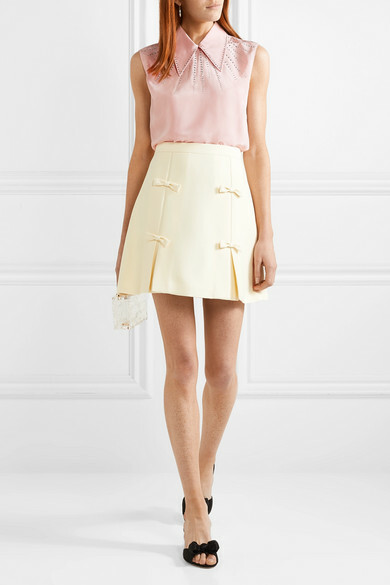 Shown here with: Miu Miu Skirt, L'AFSHAR Shoulder bag, Miu Miu Mules, Sophie Buhai Earrings.